Though Encounter Studio is located in Victor Harbor in South Australia, it has various connections to Melbourne in Victoria. I am a member of the Melbourne Silver Mine group and exhibit with them in their annual Uncensored exhibitions at the Collingwood Gallery and subsequent books. I also frequently visit Melbourne to make photos and for phototrips, and I work with Stuart Murdoch exploring topographical photography when I am there. 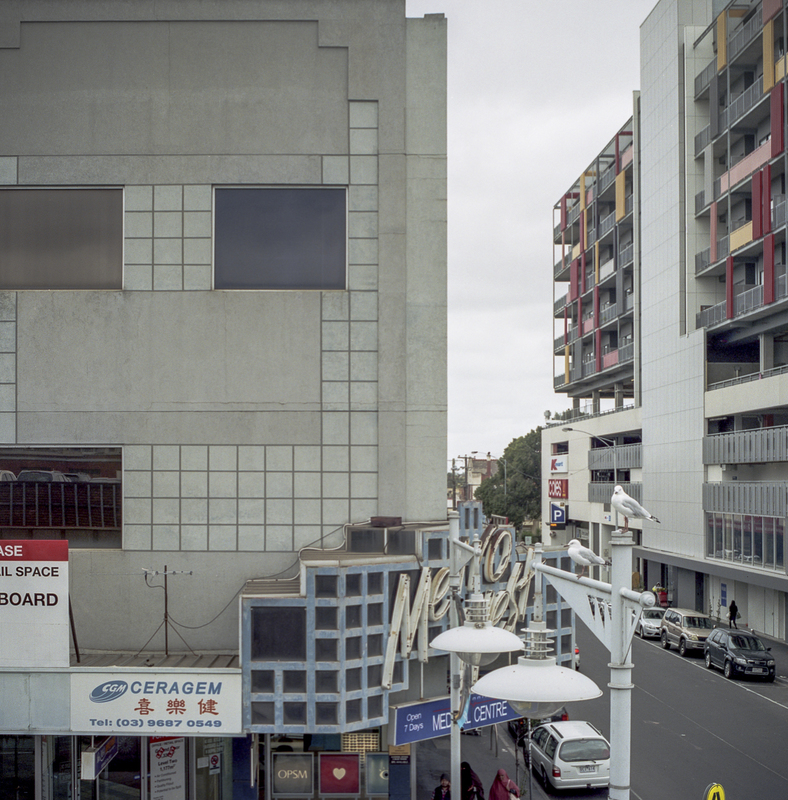 In that sense, Stuart, who has started to publish photography books, can be seen as a part of Encounter Studio: ie.–the Melbourne connection. One of the topographical projects Stuart and I are working on is Merri Creek. 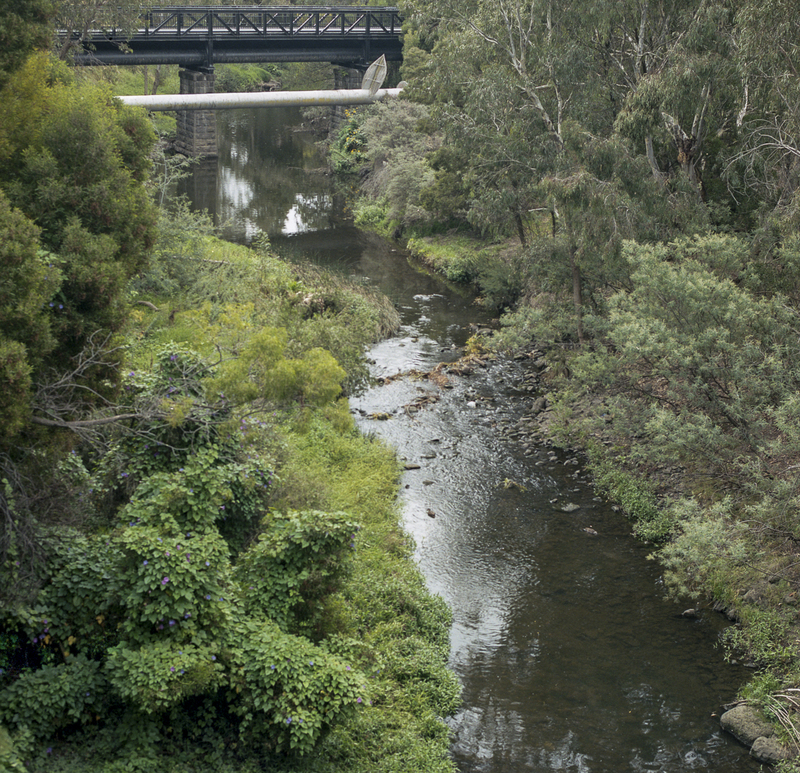 Stuart had photographed around the Northcote area of Merri Creek approximately 11 years ago when he lived nearby, and he was interested in re-exploring it to see what had changed. I was attracted by the nature/urban relationship. So we decided to start scoping it when I was last in Melbourne. I guess it is a reframing of history whilst avoiding the “Beautiful Nature” type of photography at a time when an entity once unproblematically labeled “photography” in the 1980s-90s is fractured not only by the new technologies of digital imaging but also by current artistic practices themselves. The category “photography” is now increasingly assimilated to contemporary art, which in turn, indicates the instability of boundaries based on the medium and the technologies employed. Examples that come to mind that illustrate photography’s assimilation to contemporary art are: Jeff Wall, Gregory Crewdson, or the Dusseldorf School of Photography (e.g., such photographers as Andreas Gursky, Candida Höfer, Axel Hütte, Thomas Ruff and Thomas Struth) or Bill Henson and Trent Parke in Australia. Trent Parke is a good illustration of the current instability of the boundaries of photography as a self-contained medium, as he is a Magnum photographer with a deep allegiance to the ideals of documentary photography, yet nevertheless has recourse to a form of construction/assembly in The Black Rose exhibition in which photography is only one element. We can see the art gallery continuing to act in its traditional role as gatekeeper, art historical trend-setter, as well as promoter and interpreter. We are a long way from the 20th century modernists who focused on aesthetic formalism and often emphasized form over subject matter, creative authorship and the authority of the artist. In the 21st century the art galleries previous power to control the meanings of a photograph is currently limited, if not jeopardized by virtual online practices of putting work online. The topographical work of Encounter Studio is a part of this shift to online spaces (social media, interactive personal websites, and online image sharing sites/platforms such as Flickr or Ipernity) outside the walls of the art gallery. These online spaces tend to eliminate the traditional hierarchies and distinctions between “fine art” and “popular culture”, “artistic” and “vernacular”, “museum authority” and “visitor sensations”. Despite the proliferation of vernacular imaging” art photography is still sought after from both museums and the public. The challenge that artists face is how to differentiate their practices from those of many other camera users and sustain the critical potential of their work.